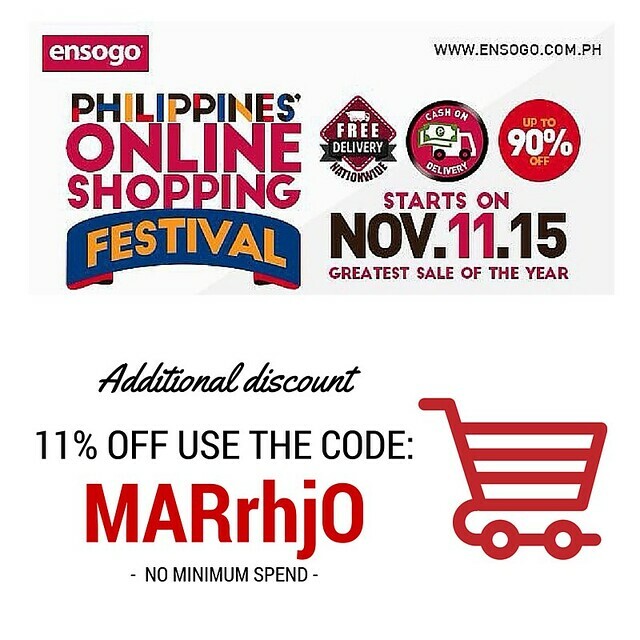 Feature| Ensogo: Philippine's Online Shopping Festival & Additional Discount! The greatest online sale is about to happen and you might miss out on the best deals ever! 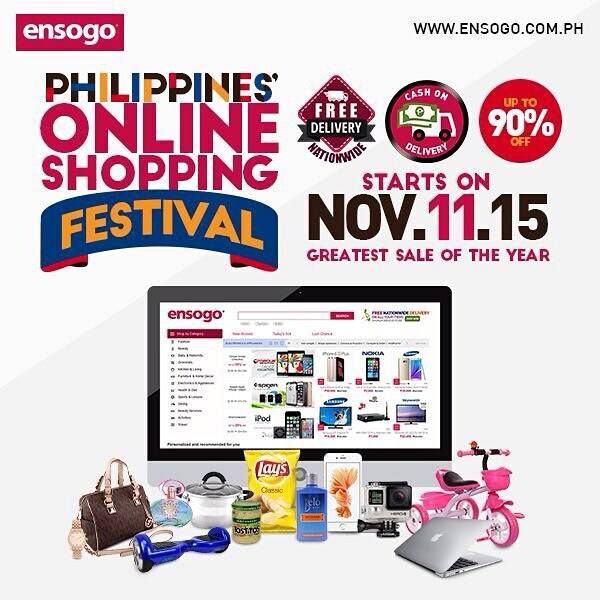 Ensogo Philippines will feature products from your favorite brands with UP TO 90% OFF! This will only happen for a limited period of time and I have a special treat for you lasses! And since you are such a sweet lass to me, Ensogo Philippines has decided to give you an ADDITIONAL 11% OFF on your purchase from November 11 - 17, 2015. Just use the code below upon check out!